Pork chop has never been an item which I will order for at any restaurant or eatery. Reason being, it sounds like a pretty plain and boring dish to me. 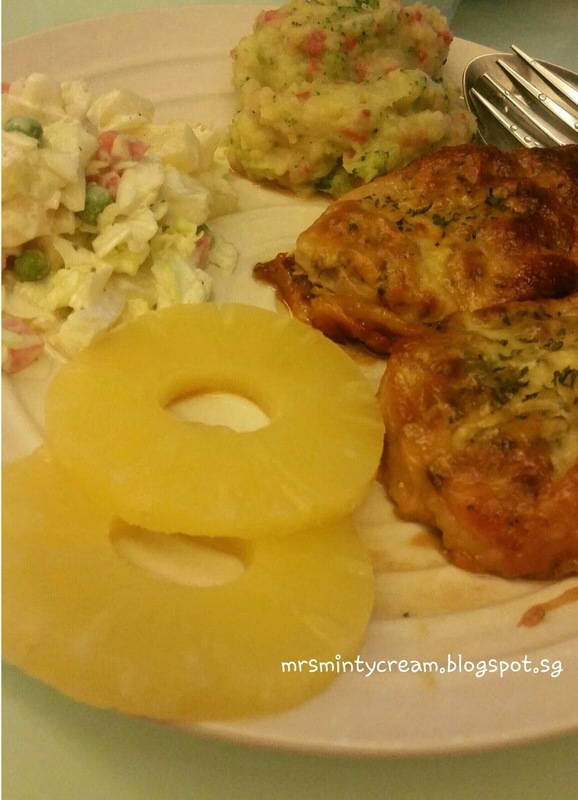 I would rather go for a healthy yet yummy baked salmon, or even a hearty portion of lamb chop instead. 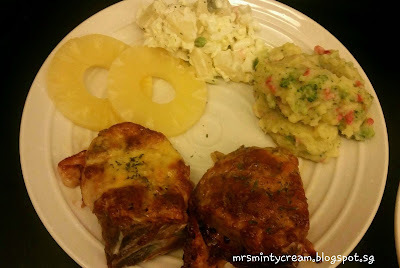 However, when I came across this recipe on Cheesy Garlic & Brown Sugar Pork Chops, my eyes lit up! The word CHEESY definitely caught my attention. I just have to give this recipe a try! 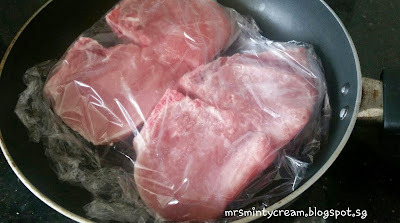 Anyway, I would also like to share on this quick method of defrosting your meat. 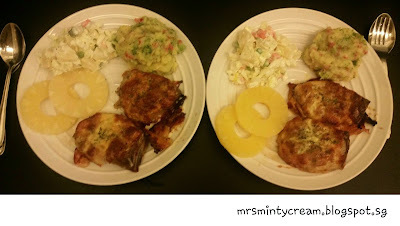 It work perfectly well for my pork chops. It took me 10 minutes and I was really pleased. Click here for details and give it a try. 1. Preheat oven to 180C. Line baking pan with baking paper. 2. 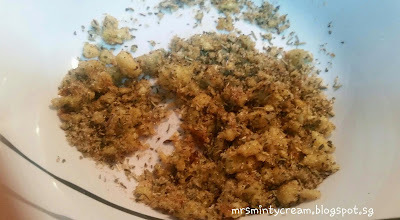 For dry rub mixture, combine mixed herbs, minced garlic, brown sugar, paprika, salt and pepper in a large bowl. Mix well. 3. Rub both sides of pork chops with dry rub mixture. 4. 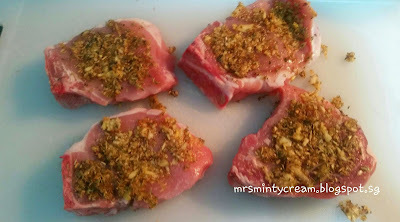 Transfer pork chops on to baking pan. 5. 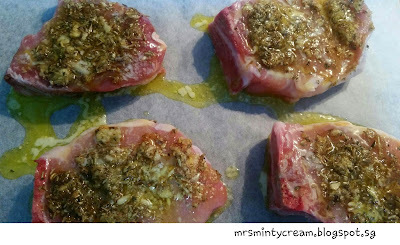 Drizzle melted butter over the pork chops and bake in the oven for 20 minutes. 6. Remove from oven. 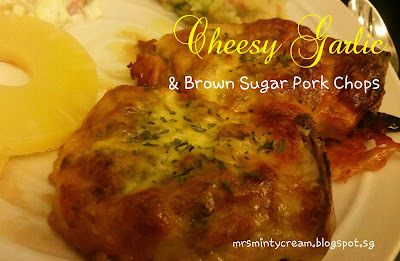 Sprinkle cheese over the top of the pork chops. 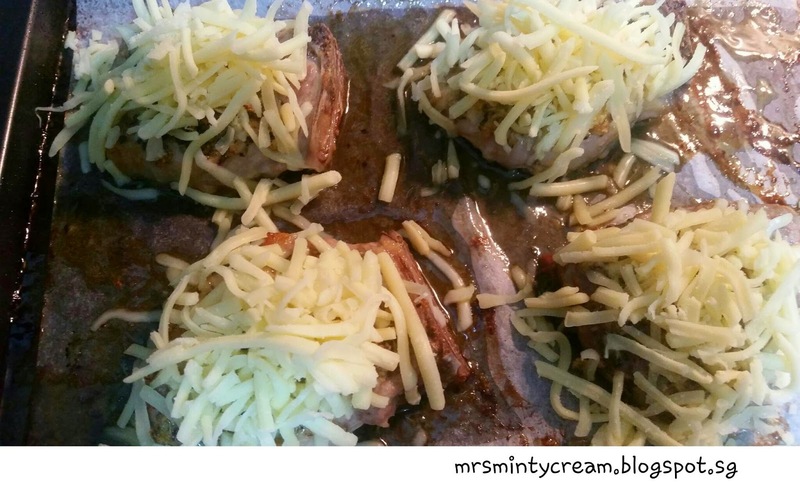 Bake for another 5 minutes until cheese has melted. 7. Sprinkle the top with parsley before serving. Enjoy.